I spent most of last week convicing Bradders that Cornwall was the place to be at the weekend. He wasn't sure. It was a long way, he said. He was perhaps up for it, but he had to be absolutely certain that it offered the best possible birding. Eventually I managed to twist his arm and he agreed that maybe, just maybe, it looked OK. I joked that maybe we should do a day-trip to Scilly. Perhaps, he said. I attempted to get Hawky along too, but a Solitary Sandpiper, eight Buff-breasted Sandpipers, a Semipalmated Sandpiper, a Lesser Yellowlegs, four Pectoral Sandpipers, a Long-billed Dowitcher, a Red-eyed Vireo, a Bee-eater, a Citrine Wagtail, and Ortolan Bunting, three Black Kites and a couple of Wrynecks wasn't quite good enough to get the juices flowing so he opted out. I can see why. Nick C needed no convincing, the possibility of about fifteen ticks and no trains swung it for him. Stood in my kitchen at 8pm on Friday night, news of a probable Northern Waterthrush on St Mary's started to get Bradders excited.... Finally! We picked Nick up and a few [hundred] minutes later we arrived at Hayle, our luxury accomodation for what remained of the night. We did not sleep well. In fact we hardly ever do when we go down to the south-west, so we knew what to expect. 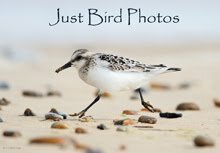 We started the morning at Drift, and managed to dip one of our first targets, the Semipalmated Sandpiper. Meanwhile news came out that both the Solitary Sandpiper and the now confirmed Waterthrush were still on the island. Nothing for it, we had to go, so leaving Drift we headed for the quayside at St Mary's. 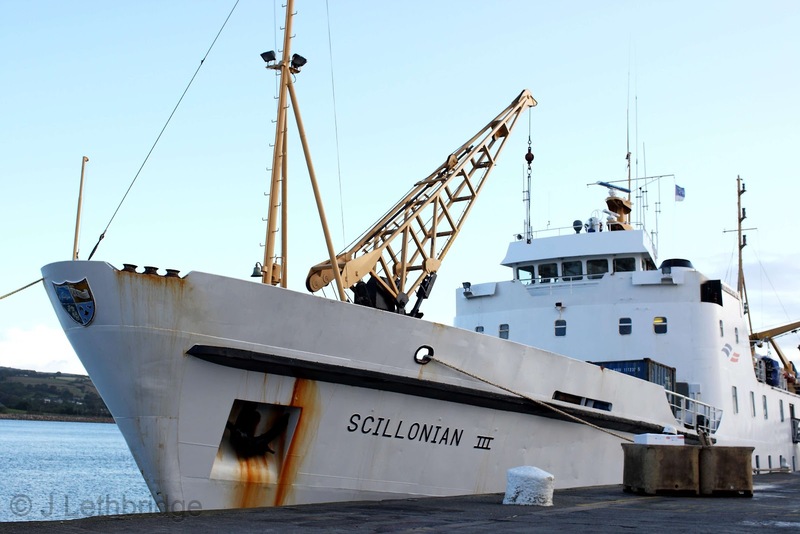 I have mixed emotions about the Scillonian III. I've been on it only once, but for fourteen hours in a force seven gale. I lost the entire contents of my stomach several time over, and was somewhat miserable. Many is the time I've been sat seawatching at Porthgwarra and seen the Scillonian go past, wallowing, rolling, pitching. Each and everytime I have thanked my lucky stars that I wasn't on it. At Penzance, a stiff breeze was blowing. Force six. Nice. As it happened, and I have no idea why really, it was fine. In fact of all of us, it was only DB who turned a slight shade of green momentarily, and he was back to normal after a short sit-down. News of a Black-and-White Warbler at Lower Moors, exactly where we were heading, seemed to perk him up a bit for some reason. The pitching of the ship no longer had any effect after that, and the Scillies were soon visible on the horizon. We were late in due to the heavy weather, but a taxi, pre-booked in an act of genius, was waiting for us on the quay. To the Duckpond, we commanded!! All week long, taxis have been plying the route from Hughtown to Newford Duckpond. Passengers have glanced out of the window at the Solitary Sandpiper, and been driven back to Hughtown. Not us. It wasn't there. Like the SemiP we hadn't seen, it had been parading at point blank range for all-comers, and we arrive and it does a runner. Not good. For those of you that don't know, Newford Duckpond is the size of a large bath. You can survey it in totality in about 0.2 seconds. We spent fifteen whole minutes and failed miserably. Meanwhile the Black-and-White Warbler was still present. It would have been rude not to, so we headed for Lower Moors. Lower Moors is a tangle of dense and muddy undergrowth, with deep boggy bits for the unwary. Turned out I was unwary..... We missed it first by about twenty minutes in one bit, by about five minutes in another, and then by a mere two in another. A hour had passed and we were no closer to seeing when a loud shout rang out. "It's here! ", followed by loud clapping to direct us to the spot. I can tell you now that not one person objected in any way to this use of fieldcraft, it was absolutely the right thing to do. Bradders had found it, and we all got on it! And not only on it, it fed over our heads, climbed trunks by our ears, and hovered next to my nose. 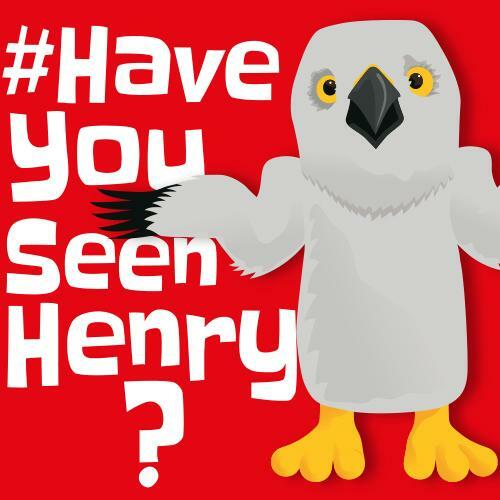 What a bloody brilliant bird, and I mean brilliant. Of all the American Wood Warblers that I would want to see in this country, only Blackburnian really gets a look-in. Other than that, Black-and-White all the way. We enjoyed magnificent views for a few minutes before it moved through into an area we truly couldn't penetrate. On cloud nine ten eleven we struggled to the exit and the light, and headed back to Newford. We could have attempted the Waterthrush, but it had been seen for thirty seconds at first light and not since, so we opted to give the Solitary Sandpiper another crack. As we headed up the road, news came through that it was back on the pond, and also that the Bee-eater had been seen. Ears open, we yomped up there hoping for a "prrrukkk" and at best distant flight views. As it happened we never did hear it call, a real shame. Possibly it didn't call as it wasn't flying around, but was instead perched on a twig about thirty metres from the road. We rounded a corner, saw a couple of birders staring into a field, and there, by the grace of all that is good and turquoise in this world, there it was. Magnificent! Forget the fact that it isn't really rare, forget the fact that a yank mega was just down the road, with another just up the road. Trumped the lot, and I mean the lot. 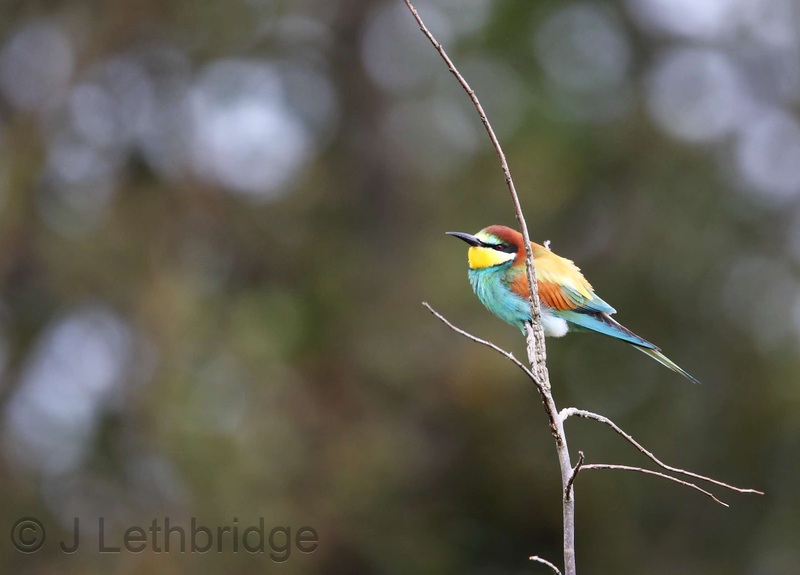 If I ever look sad, down in the dumps, miserable, just say "Bee-eater" to me. My countenance will change instantly, and a dreamy look will come over my face. Wow. Reluctantly we walked the short distance to the Duckpond, but once again the Solitary Sandpiper was being, well, solitary, and despite having shown only minutes before, was once again nowhere to be seen. We devoted our remaining time to the pond, hoping it would suddenly emerge, but it didn't happen. The bird responsible in part for the trip down to the southwest, the bird we assumed would be easy, a gimme, and we never saw it. Our cab arrived and we were amongst the last people to get on the boat. I had a short kip, and woke up to find the lads seawatching. Pretty good actually, a handful of Sooties and a Grey Phal kept the interest up. Penzance YHA, and we almost too tired to celebrate our good fortune. A memorable day. Anyone moaning that they missed the Waterthrush needs a good kicking in my opinion. With under four hours on the island for day-trippers (£30 as opposed to £90 PLUS two nights accomodation) there is a limit on what you can do. Shame we didn't see the Solitary, nor have any time for the Buff-breasted Sandpipers, Dotterel, Shrikes and Wrynecks, but you can't see them all. Somebody once told me to spend time thinking about what you did see, rather than what you didn't see. Sage advice, and if you had offered me a Black-and-White Warbler and a Bee-eater on Saturday morning before I got on the boat I would have bitten your hand off in my eagerness to accept. Simply amazing to even have the chance, and I am as chuffed as they come. Tune in later for what we did on Sunday. It's good. Very good. What an excellent post Jonno. I've just returned from the mountains of Taiwan to Taipei, having somehow mopped up 20 of the 24(ish) endemics at arguably the worst time of year, and you've made me miss Scilly!